As an agency, you are always looking to improve and find better practices to help your clients achieve their educational goals abroad. A big part of achieving those goals as business relies on having outstanding educational consultants in your company. Finding exceptional educational consultants is not an easy task, but when you find them, they become the driving force of your business. 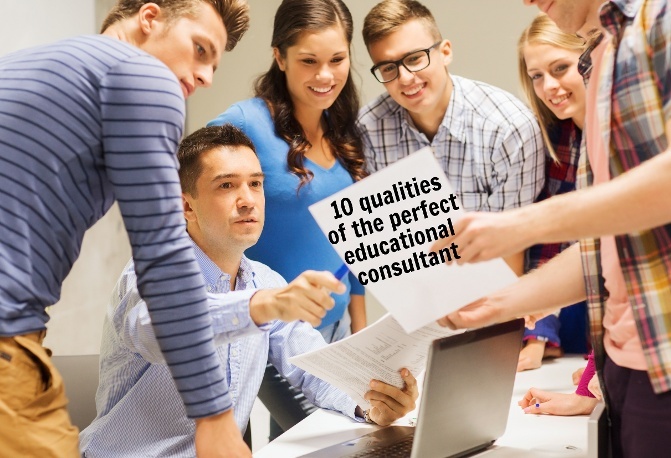 These are 10 signs of the most important qualities an educational consultant must have to be considered “the perfect educational consultant”. 1. A personal, educational experience abroad: As we are in the business of giving education travel advice; having lived that experience yourself is crucial to offering consultation to people going abroad. Can you still be an educational consultant without a personal experience abroad? Yes, with some great training. But if you are looking for perfection, only that personal experience will give the extra advantage in how you relate to your client and the experience they are going to have. - Friendly: You know how that beautiful smile and positive tone in your voice works magic for your clients. - Likable: For clients to trust you on of the biggest decision in their life, they have to like you, relate to you. 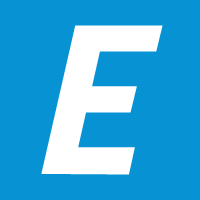 - Patience: Homestay problems, worried parents?... You know patience is the name of the game. - Professional: If the clients sense you don't know what your talking about, they will never trust you and do business with you. 3. Know and visit the places you are promoting: There is a reason educational institutions around the world spend millions of dollars on familiarization tours (FAM trips) - they work! When educational consultants visit the countries and places you are promoting as an agency, they become more clear and effective with client communication. This confidence translates into better advice and better sales. 4. Speaking English and other languages fluently: This one should be a no-brainer; English and any other additional language your consultants speak will make their job easier and more productive in the international education sector. Hire monolinguals at your own risk! 5. Actualization and professional development: Being passionate about the education industry, reading blogs, industry publications, participating in conferences and networking events are keys to having a clear understanding of what is "really" happening in your sector and your market. It will allow you to discover new opportunities and market trends before your competition does. 6. Having the right tools at work: In today's world, technology plays a huge role in how we manage our time and resources. The perfect educational consultants are using some or all of these powerful technology tools to make their job more productive, make their clients happier, and increase their sales. Being organized and having an attention to detail is a key quality the perfect educational agent must have. 8. Proactive: The perfect education agent is proactive towards all his projects and daily activities. They are always pushing and trying to find new opportunities and improve processes to get ahead of the crowd. Also, proactive people are often leaders that will help your agency push your projects and strategies forward. Make sure your consultants are properly trained and always listen to what they have to say about your company. 9.Great presentation Skills: As an educational consultant, you are always presenting one-on-one or to groups of people. Learning and developing amazing presentations skills will dramatically increase your power to transmit your ideas and the persuasiveness of your message. How powerful can a great orator be? Check out Sir Ken Robinson, who is my favourite educational speaker in the world; his TED talks are a must watch for anyone in the educational sector. 10. Being passionate about educational travel: This is no secret. People who are passionate about what they do are very successful. Educational travel consultants are no different. Being passionate about what you do is what unleashes greatness, happiness and success. Make sure everyone that works with you and around you has that spark, only this will take your business to the next level.